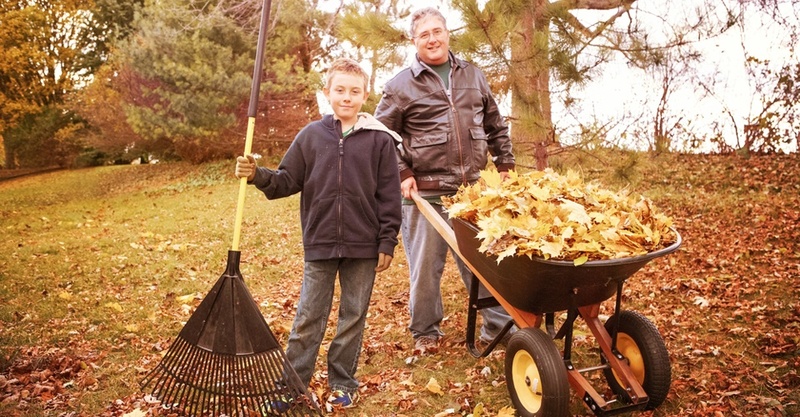 Rake Those Leaves, But Do It Safely! For many around the U.S., autumn’s most visible calling card is the leafy debris covering our yards after the first big windstorm of the season. Although colorful and fun to jump in, those piles of leaves mean yard work and that can mean injuries. In today’s post, let’s see what the experts from the fields of osteopathy and orthopaedics recommend we keep in mind as we pick up those rakes and head out our garden doors. Wear gloves or use rakes with padded handles to prevent blisters, and vary your movement, alternating your leg and arm positions often. Keep your vision free of impediment and wear shoes with slip-resistant soles. To avoid back injuries, do not overfill leaf bags. Never carry or throw a bag over your shoulder or to the side. The twisting motion places undo stress on your back. Be safe out there, yard work warriors! Note to our safety professional readers: Need to get some back safety into your EH&S plan at work? Summit has a number of courses to help you help everyone stay safe and healthy on the job, including Back Safety, Back Injury Prevention, Flex and Stretch, and Muscle Strains & Sprains. Explore our courses by clicking the button below.